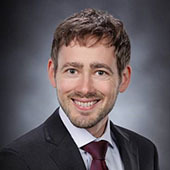 Martin Rahm is passionate about theoretical predictions of stability, properties, and realistic routes to the synthesis of as of yet unknown materials. To this end, his group is developing frameworks and methods to further chemical thinking on topics such as chemical bonding, reactivity, chemistry under high pressure, and electronic structures of extended materials. Martin Rahm is also working on multidisciplinary origin-of-life-related questions in prebiotic chemistry and planetary science, focusing on understanding the chemical evolution of different organic polymers in the solar system. The Nucleophilicity of Persistent α-Monofluoromethide Anions. Toward an Experimental Quantum Chemistry: Exploring a New Energy Partitioning. A Chemically Meaningful Measure of Electron Localization. Long-Lived Trifluoromethanide Anion: A Key Intermediate in Nucleophilic Trifluoromethylations. Regioselective Acetylation of Diols and Polyols by Acetate Catalysis: Mechanism and Application. Green Energetic Materials, Chapter 2: "Theoretical Design of Green Energetic Materials: Predicting Stability, Detection, Synthesis and Performance"
Synthesis and Characterization of Fluorodinitroamine, FN(NO2)2. The Trifluoromethyl Group as a Conformational Stabilizer and Probe: Conformational Analysis of Cinchona Alkaloid Scaffolds. Green Energetic Materials, Chapter 7: "Green propellants Based on Dinitramide Salts: Mastering Stability and Chemical Compatibility Issues"
Quantifying the Nature of Lone Pair Domains. H-Bonding Activation in Highly Regioselective Acetylation of Diols. Control of the ambident reactivity of the nitrite ion. [BH3C(NO2)3]-: The First Room-Temperature Stable (Trinitromethyl)borate. The Molecular Surface Structure of Ammonium and Potassium Dinitramide: A Vibrational Sum Frequency Spectroscopy and Quantum Chemical Study. Experimental Detection of Trinitramide, N(NO2)3. Design of an ammonium dinitramide compatible polymer matrix. On the Anomalous Decomposition and Reactivity of Ammonium and Potassium Dinitramide. Diastereoselective One-Pot Tandem Synthesis of 3-Substituted Isoindolinones: A Mechanistic Investigation. Tri-block copolymers of polyethylene glycol and hyperbranched poly-3-ethyl-3-(hydroxymethyl)oxetane through cationic ring opening polymerization. Supramolecular Control in Carbohydrate Epimerization: Discovery of a New Anion Host-Guest System. There might be more projects where Martin Rahm participates, but you have to be logged in as a Chalmers employee to see them.